Mountains, Beaches, and the Largest Park in North America. Vancouver, or the “Hollywood of the North” (its TV production comes second after Los Angeles), is a stunning beauty with all of the aforementioned amenities within minutes of downtown. It’s no wonder why Greenpeace was established here. Fun Fact: All of the grey squirrels found in Stanley Park are descendants of eight pairs of grey squirrels that Vancouver received as a gift from New York City in 1909. Talk about a prolific present! Did you know the California Roll was invented in Vancouver? Chef Hidekazu Tojo came up with this universally loved roll in the 1970s. Treat yourself to a visit to his restaurant and savor his award-winning creations. Your taste buds won’t be disappointed. Pack your outdoorsy things and come hungry. 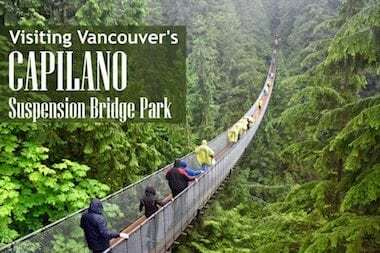 Vancouver and its amazing offerings are waiting for you! Visit Nature’s Stair Master and test your endurance. If the steep wooden steps aren’t your thing, take a 15-minute Skyride up to the top where you can see the entire city (on a clear day). 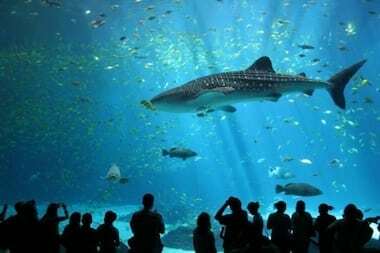 Vancouver Aquarium, which ranks in the top 5 aquariums worldwide, is home to 50,000+ animals and is surrounded by natural beauty. Visit the oldest tourist attraction in the city! Whatever you do, don’t look down. Take a dip in Kitsilano Pool, a heated saltwater swimming pool three times longer than an Olympic pool! The views will not disappoint. Space. The Final Frontier. Visit H.R. MacMillan Space Centre for an out of this world experience. Want a little bit of everything? Explore Granville Island Public Market where you can find unique gifts, shop for yourself or nosh on some tasty bites from the myriad of vendors.